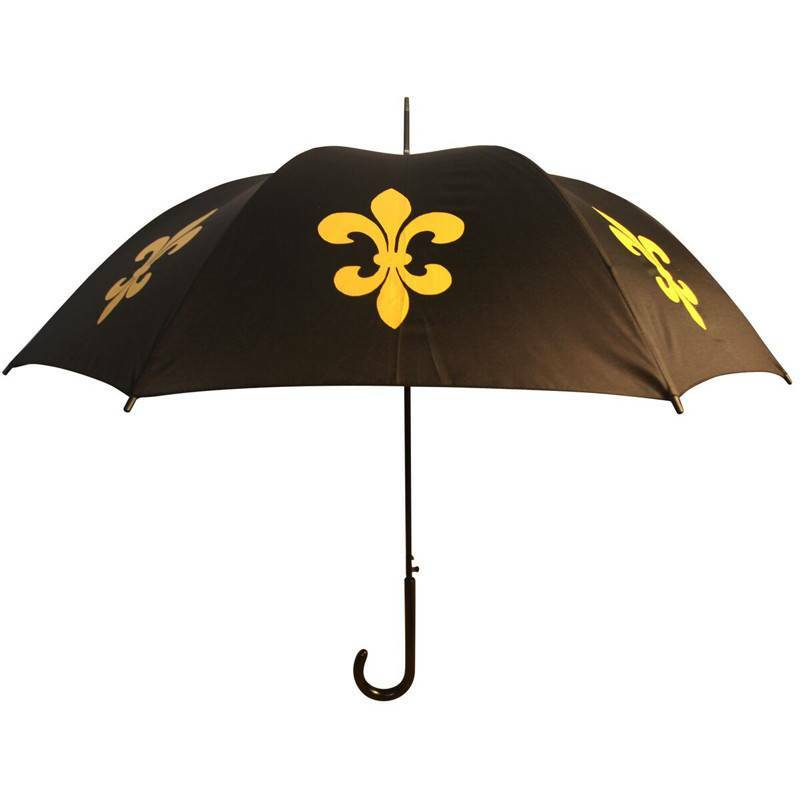 This super cool new black Fleur de Lys Umbrella is a classic English stick style umbrella that features a gold Fleur de Lys silkscreened across 8 panels of beautiful lush black fabric. 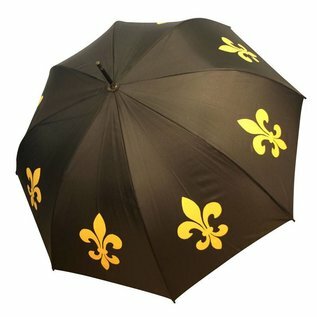 We love these beautiful and functional rain umbrellas that have a nice deep dome that help protect from heavy rain. Check out the bold rich colors showing off dogs, cats and other themes silkscreened onto satin-free pongee polyester fabric. 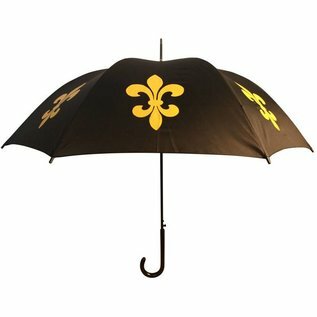 These are superbly made using the best materials.